Introduced by Senator Lisa Murkowski of Alaska and passed 51 to 49 in a voice vote yesterday afternoon, SA 838 supports and would fund state efforts to take possession of federal and public lands, a move that many fear would result in those lands being sold off to the highest bidder. 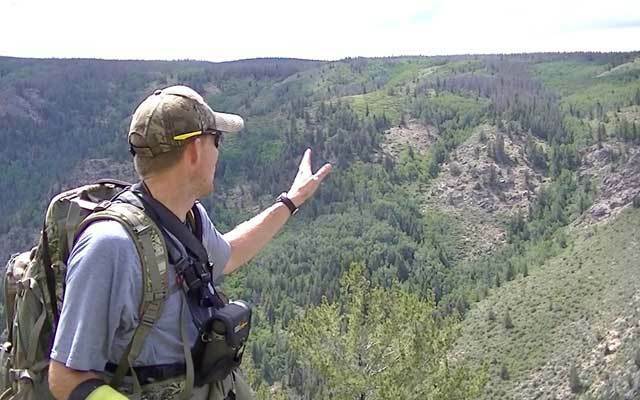 One thing that makes the West so special, that prompts hundreds of thousands of hunters to apply for limited-entry tags and purchase over-the-counter licenses each year, is the millions and millions of acres of public land available to them. Land where they can roam free, land where they can chase a number of majestic animals without shelling out thousands of dollars, land that makes them feel alive and kindles the adventurous hunting spirit. Not only is Western public land heaven on earth for hunters around the country, but it helps Western states generate income. Last year the state of Montana grossed over $23 million dollars in revenue from hunters and outdoorsmen, and that number doesn’t include license fees and other hunting-related expenses. That’s just the estimated amount traveling hunters spent while visiting the state. In Colorado, according to a 2014 report commissioned by Colorado Parks and Wildlife (www.cpw.state.co.us) and done by Southwick Associates (www.southwickassociates.com), hunting and fishing proved to be the second-largest tourism industry in the state, generating $2.8 billion in revenue. Yes, public land is a win for hunters and a win for Western states that harbor massive amounts of it. So what would happen if it went away? How many people would lose their jobs? How many people – people who’ve been applying and investing money for years to draw a Rocky Mountain big horn sheep, elk or moose tag – would miss out on their opportunity to hunt these majestic animals? How many people would see their yearly Western hunting tradition become extinct? The job loss would be catastrophic. Hunting alone, according to the International Association of Fish and Wildlife Agencies (www.fishwildlife.org), creates over a half-million jobs in America, and many of those jobs are found in Western states. As for the impact on hunters, recent surveys show upwards of 70 percent of all hunters who come West each year hunt strictly on public land. Let that percentage soak in for a minute. Could this really happen? Could the West lose its public-land hunting opportunities? Absolutely. Introduced by Senator Lisa Murkowski of Alaska and passed 51 to 49 in a voice vote yesterday afternoon, SA 838 supports and would fund state efforts to take possession of federal and public lands, a move that many fear would result in those lands being sold off to the highest bidder. Is public-land hunting gone for good? No. This amendment will have to be passed in the final budget from both houses, but when you marry this amendment with that of 747 from Utah Senator Mike Lee which proposes selling off federal lands to pay off the national deficit, the picture gets a bit grimmer. These amendments should serve as a wakeup call to outdoorsmen. Those looking to support the heritage of Western public-land hunting should visit https://www.backcountryhunters.org and take the pledge opposing these amendments. Stay tuned to www.grandviewoutdoors.com as we continue to track this evolving story.